Starhill Gallery, located just across the road from the Pavilion, looks rather small from the outside but it extends when you go inside and becomes bigger and bigger. Especially the massive centre court is an eye catcher with leather couches, a bar and a stage. Also the restaurants on the lower floor are beautifully designed and worth a try if you have the extra ringgit to spend. Starhill Gallery is previously known as Starhill Plaza. 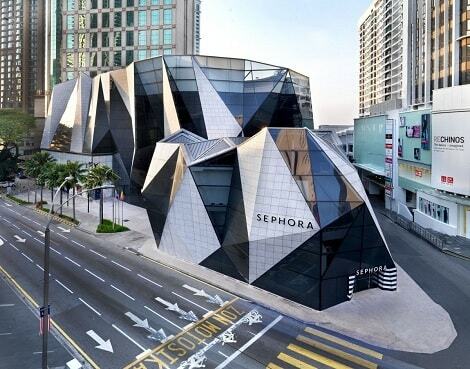 It's by far the most luxurious shopping mall in Kuala Lumpur. A couple of years ago the 'Gallery' was added to the official name of the mall, this is because it is the largest watch gallery in the world. 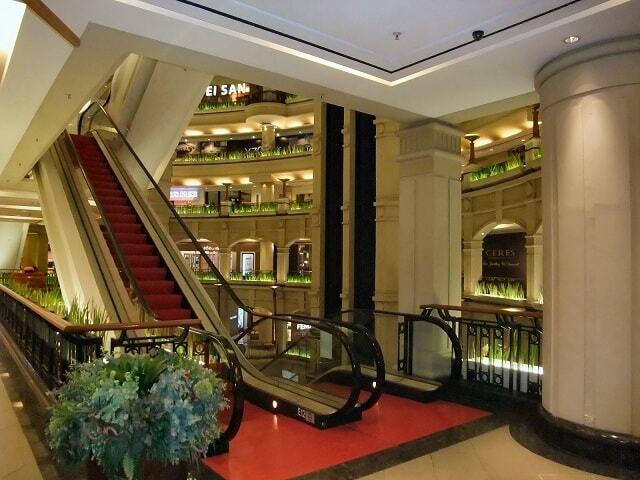 Starhill Gallery is a shopping mall for the upper-class Malaysians and rich western and Arab tourists. Marble floors, piano music, everything is focused on luxury. 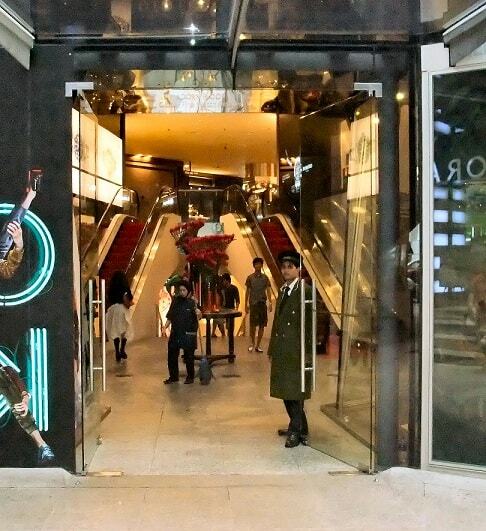 You'll find a large number of exclusive (extremely expensive) shops with designer boutiques, jewellery etc. In the lower ground level of the mall you have a large number of exclusive and expensive restaurants; some of the best in Kuala Lumpur. Starhill Gallery is owned by the YTL Group; a huge Malaysian company, that also owns the popular shopping mall Lot10 (5 minute walk from Starhill). The mall has 7 different levels. They all have their own name that corresponds with one of the themes; Feast, Indulge, Adorn, Explore, Pamper, Relish and Muse. The Pamper floor has 93 treatment rooms, ranging from spa treatments, facial therapy, make-up, nails, reflexology, hair and wellness. If you are staying at either the luxurious JW Marriott Hotel or the Ritz-Carlton Hotel you can enter the mall directly. It is said, that if celebrities stay in Kuala Lumpur the Starhill Gallery is secretly opened outside of business hours to accommodate these rich and famous. In 2011 Starhill Gallery underwent a massive refurbishment. The mall was still opened to public while the work was in progress. The redevelopment was completed in the 3rd quarter of 2012. Starhill Gallery now offers increased visibility of shops and an enhanced range of luxury merchandise, in particular the watch and jewellery brands. Starhill Gallery is located at the end of the Bintang Walk (181 Jalan Bukit Bintang), in the center of Kuala Lumpur, near the Pavilion. The mall is connected to the JW Marriott hotel. Nearby popular malls are the Pavilion (directly opposite), Fahrenheit88, Sungei Wang and LOT10. The Bukit Bintang monorail station (next to Lot10) is within 5 minute walking distance.